All new watches purchased at Tourneau come with the standard manufacturer's warranty and complimentary Tourneau warranty, up to 5 years. During the warranty period and by presenting the valid warranty certificate, any material and manufacturing defect will be repaired free of charge. The warranty covers material and manufacturing defects existing at the time of delivery of the purchased watch. The warranty only comes into force if the warranty certificate is dated, fully and correctly completed and stamped by an official Tourneau sales professional. During the warranty period and by presenting the valid warranty certificate, any defect will be repaired free of charge. In the event that repairs are improper to restore to the normal conditions of the watch, the Manufacturer’s Warranty may replace it with a watch of identical or similar characteristics. The warranty for the replacement watch varies in duration by brand. New watches purchased at Tourneau* come with a complimentary Tourneau warranty that extends coverage of the movement beyond the manufacturer's warranty for up to five years from the date of purchase. Smartwatches are not eligible for the Tourneau extended warranty. For additional coverage, Tourneau offers the upgraded option of the Timepiece Protection Plan. 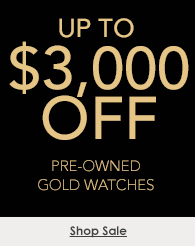 Every Certified Pre-Owned watch from Tourneau comes with a 2-year warranty that covers internal movement defects. All warranty service is performed at our manufacturer-authorized service center and is carried out by our expertly trained 30+ master watchmakers. In some cases, timepieces are sent to the original manufacturer for warranty service. Watches that are fully serviced by Tourneau receive a Service & Repair Warranty (even if they were not purchased at Tourneau). This warranty lasts for two years from the date of pick-up of the watch. 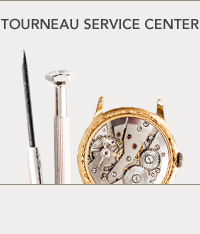 Service under this warranty is provided by the Tourneau Service Center. To obtain warranty service, you must bring the timepiece, the original bill of sale, and the warranty to your nearest Tourneau store or complete the service request form and mail it with your watch to the Service Center. The Service & Repair Warranty does not cover damage from misuse, neglect, abuse, or other normal wear.